Take in the breathtaking view of the cliffs and the Caribbean Sea. 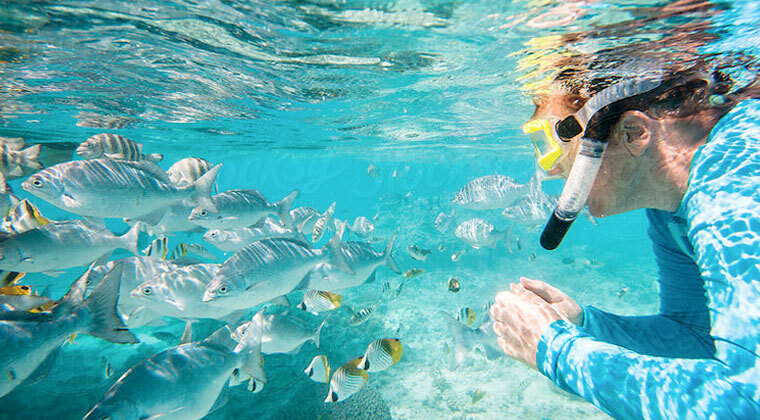 Take the ladder and have a swim or snorkel on the reef. Sunbathe on the deck cut in stone. Plunge into the rejuvenating fresh water pool located at the cliff's edge. Plan a private catamaran cruise for two - or more! Explore Jamaica with excursions to Appleton Rum Estates, climb the YS falls, learn about the history of reggae at the Bob Marley Museum. For active days closer to home, enjoy complimentary access to Couples Swept Away's exceptional 10-acre fitness complex for tennis, squash and racquetball. Get fit at the fully equipped gym with cardio and weight training equipment, dive into 25-meter lap pool. (Note: Guests must be 18 years or older to access the facility). A complimentary twice daily shuttle to The Beach, our beachfront property, is available if you’d like to spend the day like to spend the day on world-famous Seven Mile Beach.